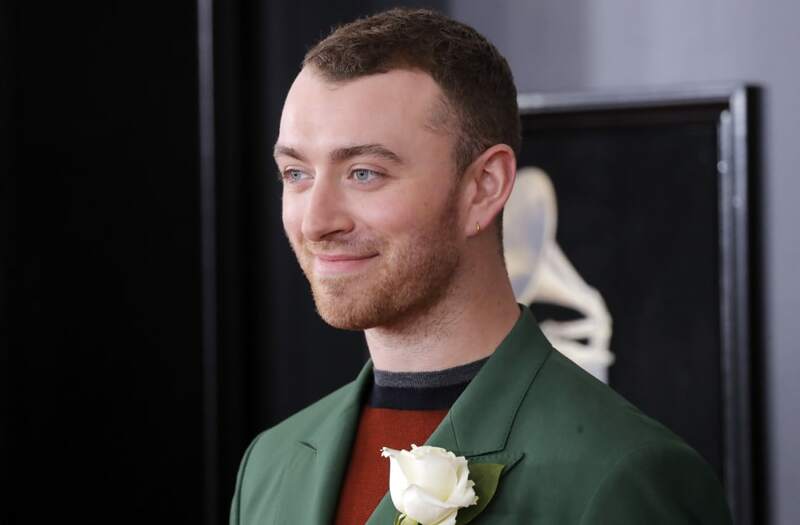 They're mostly stayed away from the cameras, but Sam Smith had a notable date to the Grammys last night: His boyfriend, "13 Reasons Why" actor Brandon Flynn! After declining to pose together on the red carpet, we weren't sure if we'd see any photo evidence of the two enjoying the big night. But one savvy photographer did manage to get a photo of the happy couple -- and then some. The fun snapshot includes not just Sam and Brandon, but also Camila Cabello, Janelle Monae, Lorde, and Camila's sister, Sofi. Although their romance isn't a secret, Sam and Brandon have only been together for a few months, which may explain their hesitation to go too public. Brandon plays Justin Foley on Netflix's "13 Reasons Why," one of the biggest shows of 2017. We have a feeling we'll be seeing a lot more of them in the coming months!